What makes your property stand a cut above the rest? Streak Free Window Cleaning is proud to provide our customers with dumpster pad cleaning services that make every corner of your property enhance business. Dumpster pads present a quintessential sanitary issue. As the place where your trash goes, they become a literal hub for all of the refuse for your business. If the location isn’t managed, it can compromise your entire property. Removes buildup Garbage has a way of sticking around. Even after haulers have come to pick it up, vestiges of trash remain. It’s important to remove them to protect your property and your first impression. Mitigates odors Food waste takes its toll on your property – but so does virtually every kind of refuse. Buildup brings with it a distinctive smell, and it’s almost never a welcome sight on a property. Maintains sanitation A dirty dumpster pad isn’t just ugly. It presents a hygiene issue. Specialist care can remove the bacteria that is bringing your property down and prevent it from making a comeback. Improves curb appeal Nothing hurts a professional image quite like grime. We remove the buildup that is compromising your property’s aesthetic. Dumpster pads present an infamously complex cleaning issue. It makes sense: Most of them come with layers and layers of dirt and bacteria, and the result often isn’t pretty. The Streak Free team brings the expertise, training, and specialized equipment to transform your eyesores into a positive addition to your property. 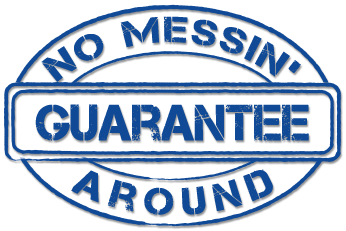 We’ve carefully customized our pressure washing service to make it tough on stains, odors, and buildup. It’s the solution that you need for a tough cleaning problem… And it bring a better solution to you. With our experts on the job, a functional, safe, and clean dumpster pad will always be adding value to your property. Streak Free will first come to your property, clear out the area, and prepare it for a cleaning. Then, we apply our pressure washing solution, which utilizes cleaners that break down buildup and remove stains. We polish the service off with odor neutralizer that helps your space project ‘clean’ in every sense of the word. Professional property services should never be complicated – and the concept applies to dumpster pad cleaning. Streak Free offers a service that brings the best in peace of mind and reliability. Our clients always know they’re getting the best result, and there’s never any speculation about quality. It’s a given! We love what we do – and we love bringing satisfaction to our customers! Honesty, transparency, and sincere service is just a part of our professional solution. Great Results: From modern equipment to customized cleaners, we use pressure washing methods and tools that help us bring the best quality to your property. Security: Our licensed team is fully insured, so every service is covered. We also integrate the latest safety procedures to provide that extra level of security. Satisfaction, Guaranteed! If you aren’t completely satisfied with our service, you don’t owe us a dime. Dumpster pad cleaning is a ticket to better curb appeal. But it also provides safety, sanitation, and code compliance incentives for your property. When they aren’t cleaned regularly and thoroughly, dumpster pads can be a hub for bacteria, rodents, and even disease. We remove all of the triggers that contribute to an unhealthy working environment and restore the health back to your business. Health and safety codes, EPA regulations, and local mandates all require that businesses create a workplace that is safe, healthy, and sanitary. We ensure that your property checks off all the boxes – and looks great, too. A welcoming property matters. But even more, Streak Free strives to create a place that inspires better business. And it starts with a rigorous cleaning of your property’s dumpster pad. We service the greater Akron area and travel to Cleveland, Canton and everywhere in between. Check our service area map to see if we cover your specific area.